Corporate lobbyists are waging a fierce battle to prevent the European Union labelling titanium dioxide – a chemical ubiquitous in many everyday items including sunscreen – a “suspected carcinogen”. In the face of the lobbying, EU member states' willingness to instate warning labels on products like sunscreen and paint is weakening. Among those working against the labelling are the Titanium Dioxide Manufacturers’ Association (TDMA), which is going under the radar by avoiding the lobby transparency register, and its lobby consultancy Fleishman-Hillard. Titanium dioxide is a chemical whitener which can be found in sunscreen, toothpaste, foodstuffs like candies, as well as plastics, paints, and many other products. In 2006 the World Health Organisation’s International Agency for Research on Cancer (IARC) declared titanium dioxide a “possible carcinogen for humans” after tests on animals, with even larger risks in its nano form. Nano-materials are extremely tiny versions of existing chemicals and the concern is that they can accumulate in the body and enter human cell membranes and affect their function. In late September 2018 the 28 EU member states via the Commission’s chemicals regulatory committee (set up under Europe’s main law to regulate chemicals, REACH – the Registration, Evaluation, Authorisation and Restriction of Chemicals) will take a decision about whether all forms of titanium dioxide (including the nano form) should be classified as a “suspected carcinogen” when inhaled, and be labelled as such on products where it is used. Despite demanding action on nano-chemicals a few years ago, the EU’s member states appear to be increasingly lukewarm when it comes to regulating titanium dioxide today, specifically the liquid version found in products like sunscreens, paints and cosmetics that can be sprayed and hence inhaled. What can explain this about-turn? Two words: corporate lobbying. Officials have reported serious industry lobbying as the classification process on titanium dioxide has proceeded. In a May 2018 Politico article, an EU official was reported as saying that “well-organized pressure” has come from industry, with lobbyists apparently asking for meetings with authorities in every country. The official continued: “We always have lobbying, but it’s particularly heavy for this particular substance”. Meanwhile Le Monde reported that when an official at a member state environment ministry agreed to meet with the industry to discuss titanium dioxide, no less than 24 people arrived at their office! The key lobby group is the Titanium Dioxide Manufacturers’ Association (TDMA) which has embarked on a major influencing operation. TDMA’s members are titanium dioxide producers including: Cinkarna Celje, a major company from Slovenia; Cristal, the world’s second biggest producer of titanium dioxide, with a presence in UK, France, and Belgium; Evonik, a German chemicals company declaring annual EU lobby spend of €1,750,000 - €1,999,999; Venator, a global company based in the US; and others from Poland and the Czech Republic. On 15 May 2018 a letter and attachments from TDMA were sent to member states’ officials; these have been seen by Corporate Europe Observatory and give insights into the lobby group's positioning. The TDMA documents repeatedly demand that the classification of titanium dioxide should be “put on hold” until further information is considered. The letter also says that TDMA has set up “a serious 14m euro science programme which will build the scientific basis to help discuss and resolve the many issues that present themselves in the current, unique situation”. It is clear that industry is spending €14 million on funding scientific studies into titanium dioxide which will then be promoted to decision-makers. But these studies have not been set up at the behest of the EU decision-makers, but are instead designed by industry, who presumably will also decide what gets published and what doesn’t (including whether the raw data behind the studies will be made public). Industry-funded science research is a classic lobbying tactic, seen on other files. It seems clear that the titanium dioxide industry is trying to lead the classification process and this research programme can be seen as part of their influencing strategy. TDMA’s strap-line might be “for a brighter future” but it does not welcome the spotlight of transparency. Remarkably, TDMA is not in the EU lobby transparency register, even though it appears to be an active lobbyist in Brussels right now. TDMA’s chairman is Robert Bird, who is apparently from member company Venator, and his name and signature were on the 15 May letter sent to member state officials. Yet Venator does not appear in the EU lobby register either; neither do other TDMA members Cinkarna Celje and Cristal. If TDMA is not in the register, then in theory at least, it cannot sit on any Commission expert groups and it cannot meet with Commissioners or their Cabinets. But that still leaves a major lobbying loophole as thousands of Commission officials fall outside these rules, as well as MEPs and of course member state officials. For example a source told Corporate Europe Observatory that TDMA was present at an April 2018 REACH sub-group meeting hosted by Commission officials to hear "exchanges" on the proposed titanium dioxide classification. Also present were 20+ officials representing member states and 15+ other industry representatives (including the chemical industry lobby group CEFIC and Brussels’ biggest lobbyist BusinessEurope). No NGOs were present. Yet the unregistered lobby group TDMA seems to have no problem in accessing Commission officials and can even participate in Commission-organised meetings and expert groups. Additionally, it seems likely that its close relationship with CEFIC (see below) is also useful when it comes to accessing parts of the regulatory process. TDMA is not acting alone. It 2017 it paid Brussels’ biggest lobby firm Fleishman-Hillard €400,000-€499,999 a year for lobbying services. According to LobbyFacts, Fleishman-Hillard has represented the sector lobby group for at least one year, so plenty of time for it to ensure that TDMA (which today is its second-most lucrative client) is part of the EU lobby register in its own right. It is a well-known lobbyists' tactic to try to reframe an issue to benefit industry players, for example, by referring to potential job losses and dire economic impacts. Fleishman-Hillard have done so with issues like ePrivacy. With titanium dioxide, they and fellow industry-lobbyists are reframing chemicals regulation away from the core topic of health and environmental protection, using arguments about the economy and jobs to try to persuade member state officials. This is despite the fact that the EU has a clear responsibility to ensure that such concerns do not take precedence over the protection of human health and the environment when addressing potentially harmful chemicals. Take one TDMA document which argues that classifying titanium dioxide as a suspected carcinogen would “affect the jobs of millions of workers in Europe and beyond, in a wide range of industry sectors from paper, plastics, paints, cosmetics and automotive. It would threaten the billions of euros of value added to the EEA, across the industries using [titanium dioxide] in their products.” The original version of this document originated from the computer of Aaron McLoughlin who heads up CEFIC’s public affairs team, and who used to work at Fleishman-Hillard. A four-page briefing (the original version of which originated from a Fleishman-Hillard computer) explains more about TDMA’s economic arguments. It's worth noting that the dire economic figures quoted are from a report commissioned by the Titanium Dioxide Industry Consortium (TDIC). The report’s authors based their analysis “to a large degree on information collected from numerous actors along the TiO2 supply chain”, so from industry with a strong interest in opposing classification. TDIC is a member of the EU lobby register and was set up by members of TDMA. Meanwhile, an attachment sent on behalf of TDMA to member states by Fleishman-Hillard's Holdorf in May 2018 claimed that classification of titanium dioxide as a carcinogen “would be harmful to the EU’s circular economy and burdensome to Member States” because it would lead to more waste being classified as hazardous, although this is disputed by others. An industry coalition of users of titanium dioxide has demanded an impact assessment of the classification proposal under the auspices of Better Regulation. Such an analysis would give plenty of opportunities for industry to raise economic arguments. Separately, BusinessEurope’s Dutch member, the employers’ federation VNONCW has proposed that “a social economic analysis” could be an instrument for member states and the Commission to decide which legal instrument should be used following a chemical classification. That would surely undermine the EU’s duty to protect human health and the environment as the overriding objective. “It’s always the first thing the lobbyists talk about – the threat to jobs”. This official said that industry lobbyists were often accompanied by a representative of a national chemical company, to try to press home this point. Fleishman-Hillard is no stranger to working for clients with a dodgy reputation: for years it has represented Monsanto and ExxonMobil among many others. Specifically in the chemicals sphere, it represents CEFIC (the European Chemical Industry Council), as well as a range of other associations which promote particular types of chemicals. These include Crop Life and the European Crop Protection Association representing pesticides producers, and an organisation referred to as BPA (PlasticsEurope). BPA or bisphenol A is a chemical used in many plastics; it is banned from babies’ bottles and campaigners argue it should be restricted in far more products. TDMA refers to itself as a sector group of CEFIC and they share an office building, alongside another major lobby group PlasticsEurope. CEFIC is one of the EU’s biggest lobbyists, with a declared lobby spend of €12,300,000 for 2017 and the equivalent of 47 full-time lobbyists. According to its lobby register entry its overall budget is €41 million, with 150 staff. Additionally, CEFIC holds 27 European Parliament access passes and has held 70 meetings with high-level Commission staff. It sits on, or observes at, no less than 35 expert groups, including holding observer status at the key expert group on REACH, CARACAL; observers can be and are called to speak at such meetings. A look at the lobby materials sent to EU member state officials in May 2018 by TDMA via Fleishman-Hillard show that the three policy attachments originated from the computer of a CEFIC public affairs manager. It seems clear that TDMA is close to CEFIC, but CEFIC does not mention TDMA or titanium dioxide in its lobby register entry. Fleishman-Hillard lists both CEFIC and TDMA as clients, implying that TDMA is a separately-contracted client. In that case, TDMA should be registered in the lobby register in its own right. Corporate Europe Observatory has now made a formal complaint about the absence of TDMA and Venator in the (voluntary) EU lobby register, and this case shows the need for urgent lobby reforms. Only a legally-binding lobby register would prevent such unregistered lobbying from taking place, a move demanded by the European Parliament but rejected by the Commission. Until such a robust register is in place, it is imperative to close the current loopholes by ensuring that unregistered lobbyists cannot lobby any level of the EU institutions, including the Commission. The EU28 member states should, as a matter of urgency, adopt the EU lobby register, or equivalent national rules. Crucially, this case also raises the issue of privileged access and the extent of industry lobbying of the European institutions. All officials and decision-makers working on EU issues must become far more vigilant about the risk of corporate lobbying; far more aware of how industry lobbyists often massively out-number and out-spend those representing the public interest; and ultimately ensure that the public interest remains centre-stage in all policy-making. We are awaiting responses from the Commission’s Industry and Environment departments for full lists of lobbying meetings held on the classification of titanium dioxide, to try to obtain a full picture of lobbying underway on this dossier. There is an urgency that these requests are answered before the decision in September. It is expected that the REACH committee will make a decision on the classification of titanium dioxide at its meeting in September 2018. This is nine years on from when the European Parliament first called on the Commission to ensure REACH properly addressed nano-technology. In the intervening years, some member states have also demanded action and the Commission has been found wanting. 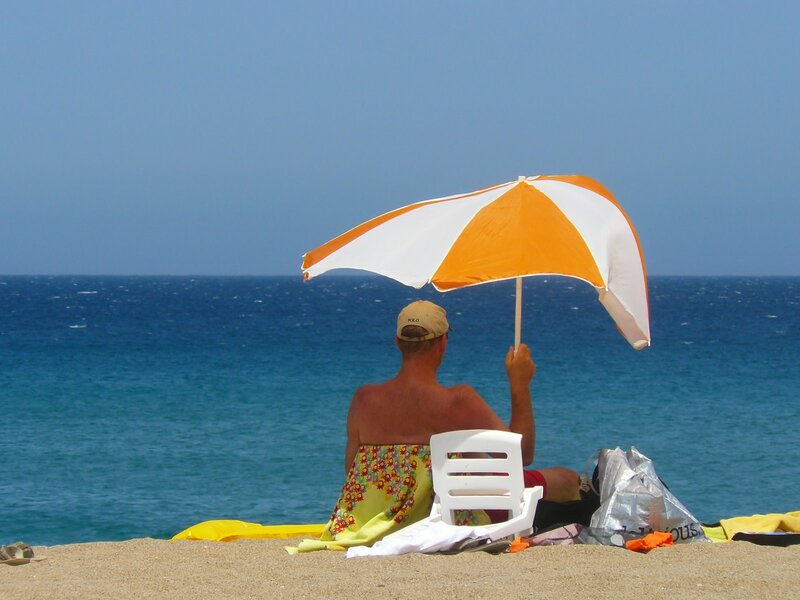 But now that it is decision time, at least on the normal and nano forms of titanium dioxide including those found in sunscreens, will member states stand up to the corporate lobbyists? France has been at the forefront of demands to regulate titanium dioxide. Earlier this year it announced a ban on using titanium dioxide in food. France is also among the member states which have implemented their own nanotechnology traceability systems. In 2017 the French Government’s own scientific assessment found that titanium dioxide (including the nano form) is a carcinogen by inhalation. Of course TDMA opposed this. The European Chemicals Agency (ECHA) then ran a consultation on the possible classification of titanium dioxide which received over 500 responses, almost all of these from industry and most opposed to the classification of the chemical. Eventually ECHA opted to broadly support France but proposed classifying all forms of titanium dioxide as a “suspected carcinogen” (rather than an outright carcinogen) when inhaled. This represents a downgrade to France’s original proposal, but nonetheless such a classification would represent a step forward. In this category, titanium dioxide would need to be labelled, but could only be restricted in cosmetics, not other products. However the draft proposal by the Commission, in line with recommendations by Slovenia and the UK, has further diluted the original proposal by France and proposes that liquid forms of titanium dioxide be excluded from the classification. Campaigners argue that this is highly problematic as liquids containing titanium dioxide such as sunscreen or paint can still be inhaled when sprayed. Slovenia (which has an economic interest in the matter via the manufacturer Cinkarna Celje) and the UK are opposed to classification. Traditionally the UK is an ally of the chemical industry, so it is not a surprise that it has adopted some of the industry’s arguments, including on the circular economy as part of its positioning. A UK/ Slovenia paper on the matter queries “what would be the regulatory, environmental and socio-economic consequences of classification?” but the UK’s stance on this file seems particularly hypocritical. 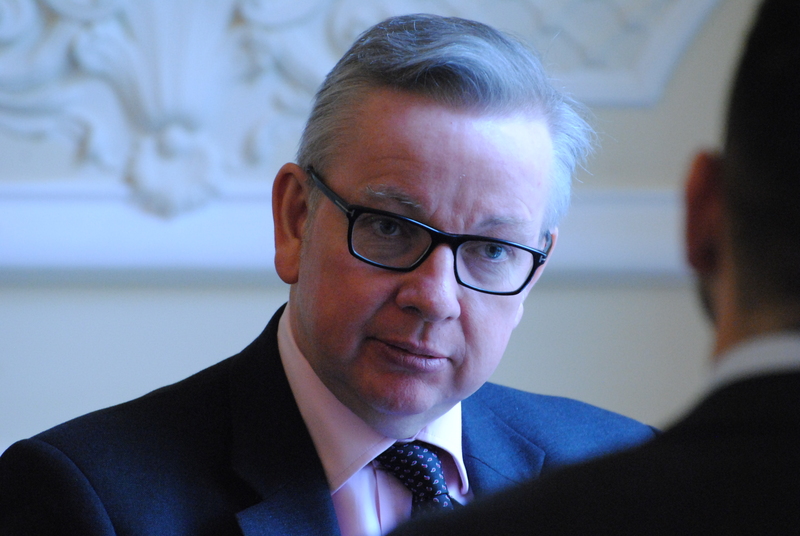 Gove goes on to reference the Commission’s Dieselgate debacle without any sense of irony when it comes to his own government’s position on titanium dioxide, or other chemicals issues such as glyphosate. More recently, other member states have also raised concerns about the proposed classification including Germany, Greece, Poland, and others. And the recent article in Le Monde makes clear that even the French Government might now be wavering. The final vote of the REACH committee on ECHA’s recommendation is expected in September 2018 and it is thought to be tight. Will a qualified majority of the elected governments of the 28 member states choose to listen to unregistered lobby groups and PR companies, and prioritise economic concerns over those of health, the environment, and science? That is now a real danger. All EU lobby transparency register and LobbyFacts references and data correct as of 6 July 2018. * Update 20 July 2018, since publishing this article Mr Totterdell has contacted CEO to clarify that while he used to work on TDMA, the last work he did for them was over a year ago. Food lobby fights labelling of nano ingredients – March 2014. Chemical conflicts – September 2014. For the Commission’s Scientific Committee on Consumer Safety (SCCS), which assessed the nano form of titanium dioxide, 70 per cent (14 members) of the committee’s members were found to have a conflict of interest, with only 30 per cent free of conflicts.